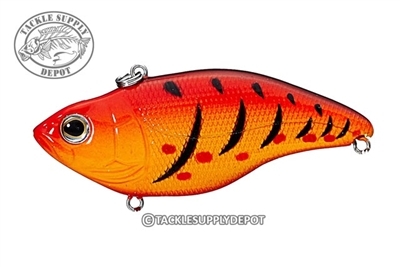 The SPRO Aruku Shad is the rattle bait that has set the standard for other lures to follow. The Aruku Shad does things no other lipless crank bait can. Uniquely made to lock on its nose on the bottom where it actually looks like a feeding shad! This bait is perfect for bedding bass as well as other fresh and saltwater game fish. Because of it runs nose down it is the most weed less lipless crankbait on the market. With many lifelike finishes to choose from along with super loud rattles this lure makes fish stand up and pay attention. Paired up with sticky sharp Gamakatsu hooks and available in an array of sizes and proven colors to make the SPRO Aruku Shad the best lipless crank bait on the market!